Always on a mission to repurpose leftovers, I recently had some extra silver dollar size pancakes that no one seemed interested in enjoying – these picky people around here sometimes rain on my leftovers parade! LOL! Thankfully, a little idea popped into mind – a heaping stack of little pancakes just oozing with gooey nut butter and jam! Who could resist that delectable treat? Well, I’m happy to report those leftover pancakes are gone! And so I thought I’d share this simple, yet delicious way to repurpose pancakes. This Stack-o-YUM not only makes a scrumptious breakfast, but is also a fun lunchbox option for the kiddos – just be sure to pack a slightly smaller, less gooey version! 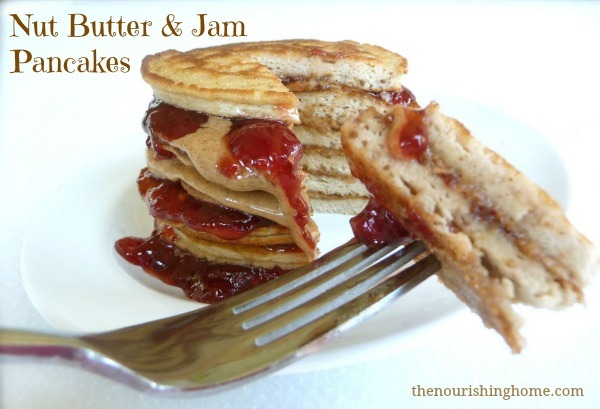 Layers of gooey nut butter and jam create a delectable treat that makes leftover pancakes yummy & FUN! 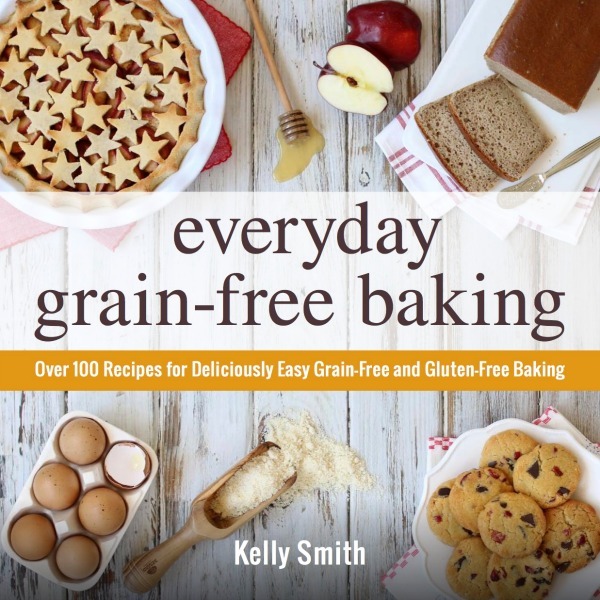 Looking for some great pancake options? What are some of your favorite ways to repurpose leftovers? Please share in the comments below … I’d love to feature your idea in a future post! These look great and so simple. Thanks for sharing. What is the jam you use and do you have a recipe for it? I feel a little guilty using jam and am looking for something more healthy. I purposely create leftover when I make your soaked pancakes – I double the recipe and then use soaked oatmeal in place of the flour in whatever pancake recipe I’m making. The kids’ favorite has pumpkin and apples – we call them “ultimate” pancakes, because they’re sweet on their own (thus not needing syrup), incredibly hearty and stable enough for us to grab-n-go when we’re on the run! 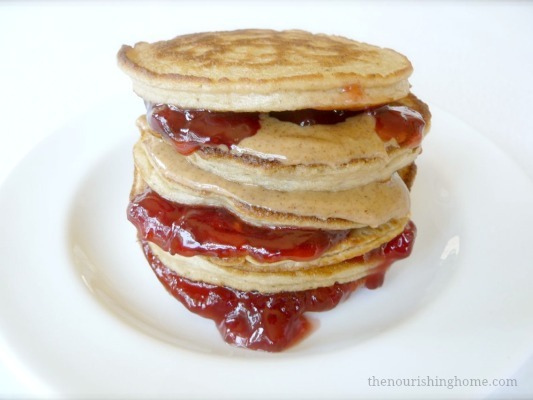 These “peanut butter and jelly pancakes” were a HUGE hit! I never in a million years would have thought to put PB&J on a pancake. One of my sons commented on how good it was, and I said, “I’m glad you like them.” His reply was, “I don’t like them. I LOVE them!! !” 🙂 Thank you for such an EASY breakfast idea!